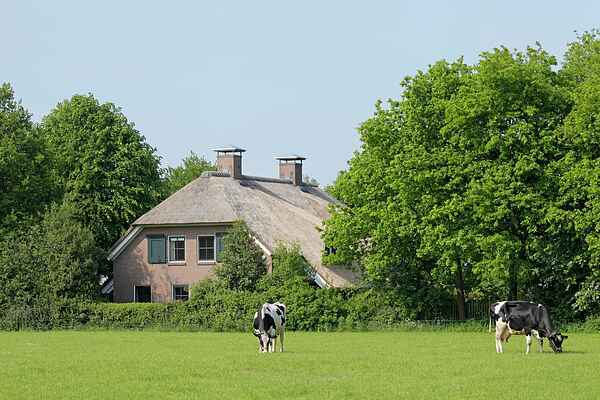 Located on the Hondsrug in Drenthe, surrounded by beautiful nature, this beautiful villa. Situated on a nature trail and surrounded by meadows a pleasant surprise awaits. Experience true peace and quiet and enjoy a luxury group stay in this comfortable and tastefully furnished house. Near to the woods of Drenthe and a short distance from Borger, this villa is an excellent base for a short or long stay. The area is perfect for beautiful walking and cycling. A fun way to get to know the environment is in an old duck. In the adjacent Eeserveen is that possibility. There are special arrangements with picnic, puzzle etc. At the neighbors you can buy fresh asparagus in season. Nice tourist attractions include Dolmen Centre, Boomkroonpad, Drouwenerzand, Klimpark Grolloo, Traffic Park Assen, Emmen Zoo, Kabouterland Exloo Watchtower Poolshoogte and the Oranje. Borger is a very lively tourist village with many enhanced features. Assen, Emmen and are located approximately 20 minutes driving distance and Groningen reached in approximately 30 minutes.